I am writing to make a complaint about the joint issue by Australia Post and Israel Post of the commemorative issue of two stamps that marked the Battle of Beersheba that were released on 10 May 2013. I have no issue with a commemorative issue between Australia Post and Israel Post. Israel is a sovereign nation. A joint issue acknowledging the Holocaust/Shoah may be a worthy commemorative issue. However, I do take issue, as the subject matter chosen in this release was highly offensive, especially to the people of Palestine and to Palestinian Australians and is inconsistent with Australia’s obligations under international human rights law. At best this is a one-sided view of historical events and at worst is an example of whitewashing the Palestinian people out of the historical narrative. 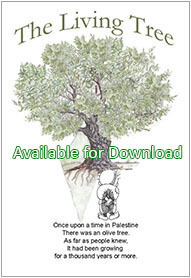 · there was no promise to Zionist Jews for a homeland in Palestine (i.e. the Balfour Declaration) until 2 November 1917, i.e. 3 days prior to the Battle of Beersheba. (c) its general governmental obligations under section 28. (c) Australia’s obligations under any convention. A “convention” means a convention to which Australia is a party or an agreement or arrangement between Australia and a foreign country. Australia has agreed to be bound by the International Covenant on Civil and Political Rights (ICCPR), International Covenant on Economic, Social and Cultural Rights (ICESCR) and the Fourth Geneva Convention <http://uk-mg42.mail.yahoo.com/neo/#_ftn7> . Israel’s actions with the decades long occupation of Palestine (i.e. West Bank and Gaza) continue to be a cause of international concern for human rights bodies. <http://uk-mg42.mail.yahoo.com/neo/#_ftn8> Any joint issues by Australia Post and Israel Post need to be sensitive to these allegations of human rights abuses of Palestinians and of the danger of historical revisionism. The 60c base-rate stamp features the statue of an Australian Light Horseman in the Park of the Australian Soldier at Beersheva (Be’er Sheva) in Israel. The statue is the work of Australian sculptor Peter Corlett. The $2.60 stamp features contemporary images of Australian Light Horsemen. The battle scene, once considered to be a photograph of the actual Battle of Beersheba, is now accepted to be a re-enactment made the following year. The Battle of Beersheba took place on 31 October 1917 and was part of a wider British offensive known as the third Battle of Gaza during World War I. The final phase of this day-long battle was the famous mounted charge of the 4th Light Horse Brigade, widely considered to be the last great mounted charge in military history. Thirty-one Australian Light Horsemen were killed in the charge and 36 were wounded. The capture of Beersheba allowed British Empire forces to break the Ottoman line near Gaza and then advance into Palestine, a chain of events which eventually led to the liberation of Arab states and indirectly the establishment of the state of Israel in 1948. 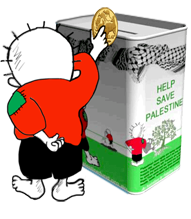 <http://uk-mg42.mail.yahoo.com/neo/#_ftn10> The state of Palestine (i.e. 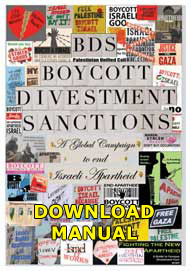 West Bank and Gaza) whilst recognized by the majority of members of the United Nations <http://uk-mg42.mail.yahoo.com/neo/#_ftn11> remains under Israeli military occupation <http://uk-mg42.mail.yahoo.com/neo/#_ftn12> . Furthermore, I ask that Australia Post amend its policy on joint issue of stamps to ensure that some consultation be given to affected communities.